1) Log in to your account on Runkeeper.com. 2) Click the gear icon in the top right corner of your screen, then click on "Account Settings" in the drop-down menu. - You can also choose whether or not you want to be subscribed to our newsletter, which will keep you informed about what's new with Runkeeper! 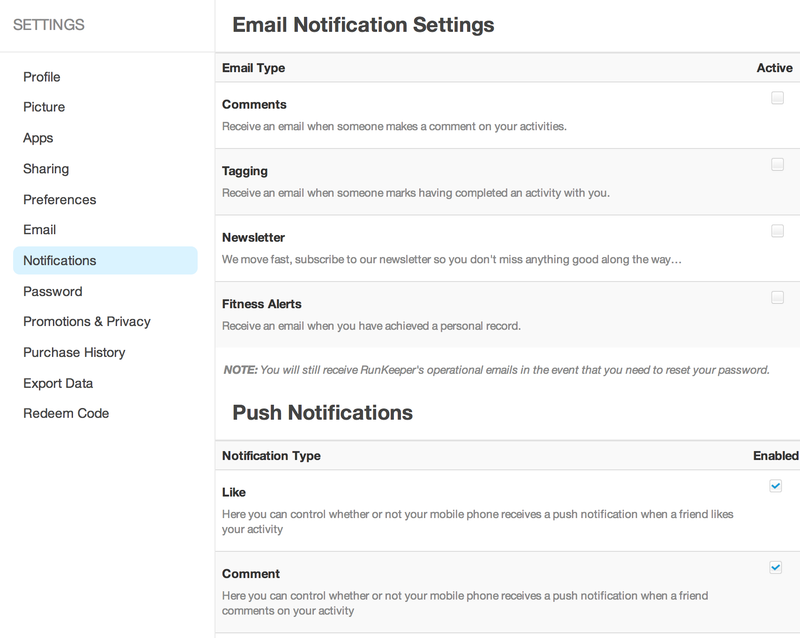 - Subscribing to Fitness Alerts will allow Runkeeper to send you congratulatory emails when you achieve personal fitness records!